One of the most advanced departments of our company is dedicated to 3D laser cutting. 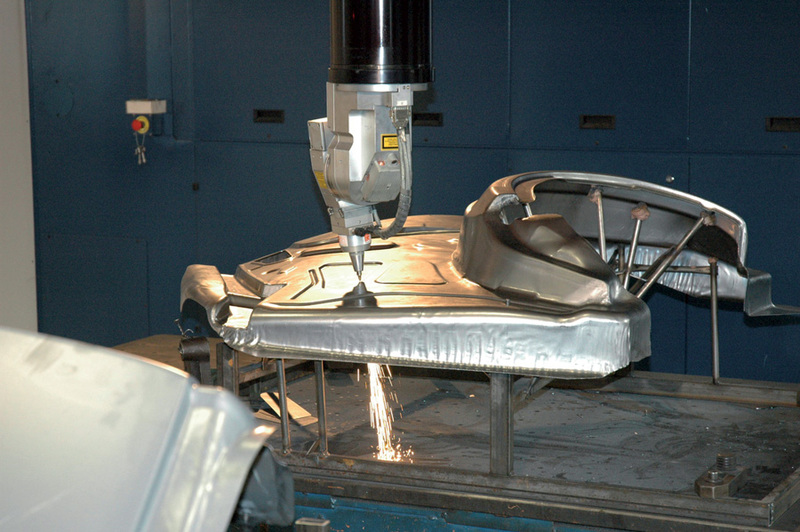 This innovative and rather young machining technology has had a revolutionary impact on laser cutting. This type of machining is used every day by our team and focuses mainly on products such as tubes, profiles and sheet metal which have already undergone various processing steps, including bending, pressing, drawing, etc. Canova & Clò offers its customers an extremely high standard of 3D laser cutting service, covering multiple fields of use (automotive, household appliances, agricultural, etc…), quickly creating different types of semi-finished or finished products ready for assembly. The parts made using 3D laser cutting feature clean, precise and high-quality cutting edges. Customer projects can be examined on request by our team of experts, in order to improve the initial idea, to produce parts which perform even better and which are ideally suited to the needs of a fast-evolving market, while cutting the costs of having to build dedicated equipment. For ambitious projects that are incompatible with traditional 3D laser cutting machines, Canova & Clò offers its customers experience and know-how to analyse and solve problems, always ensuring a perfect end result.